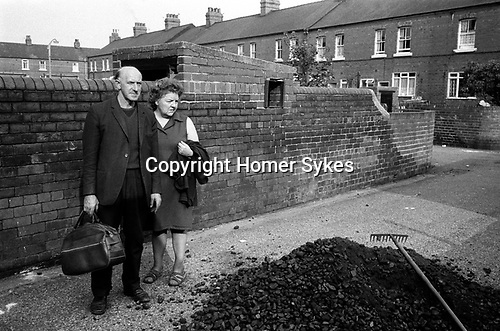 A free coal delivery, tipped at the ‘back entry’, each household that burnt solid fuel received one ton of loose load delivery every month. Left for householders to transport it into their own coalhouse. This gave rise to the local youths making a bob or two for themselves by barrowing the coal into storage areas for a couple of shillings. Pit Houses, as they were always known were built in the 1900’s by the pit owners and later taken over by the National Coal Board. The coalhouse at the bottom of the garden contained an outside toilet and by the 1970’s were converted by turning the toilet-coal house block into a bathroom with an extension for a new coal house.